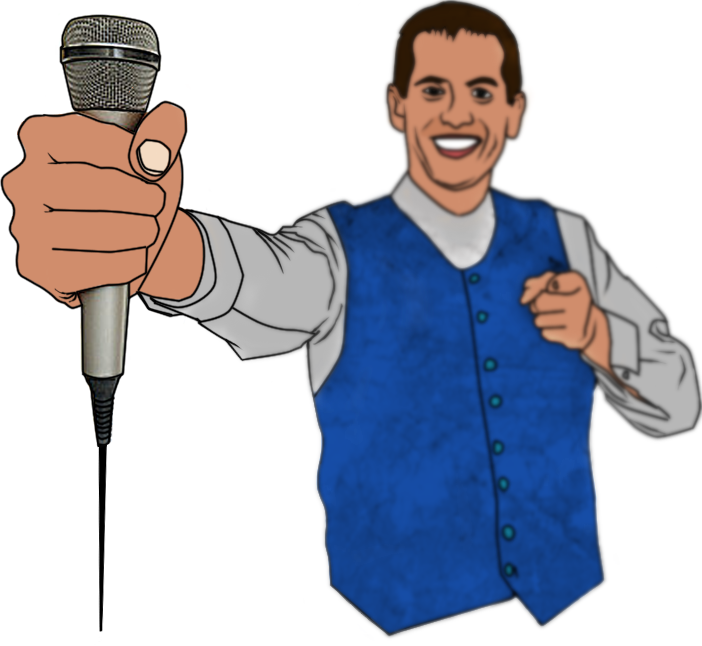 For almost seven years, one man has brought karaoke to countless Ithaca bars for the enjoyment of the drunken masses. His name is Dale Harrington, but many know him simply as DJ Dale. Over the years, Dale has expanded his DJ and karaoke business into a successful lineup of shows Monday through Thursday, adding a bit of musical entertainment to Ithaca’s nightlife. I explore how he started. Dale was born not far from Ithaca, just some miles away in Groton. After attending Ithaca High School, applied to and was accepted to Ithaca College. He enrolled at IC nonetheless, and began DJ-ing at parties with some friends, honing his CD skills since he started spinning records as they were going out of style. Having DJ-ed his way through college, Dale graduated with a B.A. in English and broke out into the local scene as a DJ for weddings and other events. His love of DJ-ing and music kept him in the business, but he sought to make it more than a part-time gig, something he could turn into his livelihood. In the fall of 2006, The Haunt gave him a chance to do so. The local nightclub and venue offered him an opportunity to break out into a different area while he continued DJ-ing and entertaining crowds. “I had DJ-ed a few nights at The Haunt as a replacement DJ, filling in during Happy Hour. They used to have DJs every Friday when they didn’t have bands,” Dale said. “And I met the owner of The Haunt and he had approached me and asked me if I’d like to host karaoke nights there and what it would take.” But the idea concerned Dale. His first night turned out differently. Though only six people showed up, they sang expertly and also founded a type of fan club. On a Thursday in March, Herman and Jeremy, along with many of Dale’s loyal followers, arrived at Lot 10 to claim their spots in the limelight. As 11 p.m. rolled around, the crowd continued to grow, but Dale managed the swelling numbers well. He has a system: before every karaoke night, which tends to start around 10 p.m., he lays out thick, white, three-ringed binders listing all the songs available, along with some index cards and a pen so participants can request their songs speedily. As more patrons entered, the cards piled up by Dale’s side, but members of his fan club returned to the stage every couple of songs. Dale started asking different venues to host karaoke, and suggested the bar owners try something new and see how it worked out. He described how karaoke would entertain their patrons and give them something new to do. And his pitch seemed to work. Dale has been doing karaoke nights at assorted venues for a long time now, but his present line-up did not start until last year. He started hosting Monday nights at The Ale House in April of last year after Castaways, one of his previous strongholds, closed down. The variety of locations means diverse crowds. As he continues DJ-ing and doing karaoke, Dale’s business embodies two personalities: the entertainer at night, and the wedding emcee by day (or, at least, the weekends). These jobs may seem irreconcilable, but one aided the development of the other—they support one another and they fully support Dale. According to Dale, the guests are the biggest difference between weddings and karaoke nights. “They are ones getting up there and singing,” Dale said. “I just do all the introductions and announcements to keep things flowing.” At receptions, the guests also provide entertainment, but it’s more incidental—through their dance moves. Regardless of where he is, or how the night is going, DJ Dale will be there, singing along with the brave souls standing on the stage, whether the speakers are blasting No Doubt or Alice Cooper. At the beginning of the night, Lot 10 wasn’t that full, but Dale wasn’t fazed. Important things were happening: there was some good singing, and everyone was having fun.